Besides being an active competitive curler, Barb has volunteered endless hours coaching youth and working tirelessly to ensure that the Maryfield Curling Club remains viable and productive. As a curler Barb has competed in many playdowns. Since 1990 she has competed at 8 Ladies Southerns, 2 Ladies Provincials, 5 Intermediate Ladies Provincials, a Provincial Mixed and in 2012 the Dominion Women’s Provincial. In 1980 Barb began her coaching career at the High School Level. In 1997 she started coaching at the Junior Level and continues to coach young curlers. Since 1980 she has coached 5 Teams to the High School Girls Provincial, 3 Teams to the Junior Women’s Southerns and 1 Team to the Junior women’s Northerns. In 2012 she coached the Kelsey Russill Team at the Manitoba Provincial Scotties championship and in 2013 coached the Brayden Stewart Team to the Junior Mens Provincial championship. Barb also coached The Stewart Team in 2014. They made to the Provincial Juniors , were 5th at the Winter Games and won a bronze at the High School Championship. To end the season they added the Provincial Juvenile title to their achievements. Despite all of these accomplishments as a curler and a coach it is her involvement with her curling club that has left a lasting mark. Her involvement ranges from being a draw master for bonspiels and competitions, organizing curling functions, sweeping the ice, ordering food for the kitchen and cooking meals for the events. She can often be seen washing walls and sweeping floors to maintain the cleanliness of the facility. 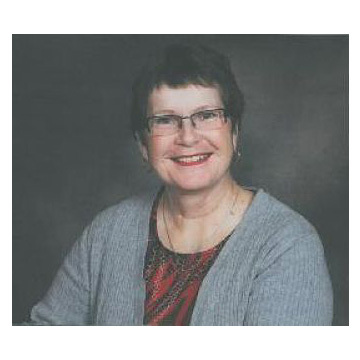 In addition to volunteering at her Club she served on the Saskatchewan Ladies Curling Association in the 1980’s, she was a Saskatchewan Curling Association District Coordinator from 1999 to 2011 and now serves CurlSask as a Regional coordinator. Her love of curling is endless and she is passionate about passing her enthusiasm onto the next generation.